Throughout 2011, 224 nurses at Augusta Health earned Nursing Logo pins for completion of education in four key areas: Compassion, Knowledge, Teamwork and Excellence. Requirements for completing the entire series included attendance at professional development days, in-services and the Nursing Excellence Summit. The pins were presented by Chief Nursing Officer Lisa Cline. Jackie Armstrong, Carolyn Austin, Lou Austin, Elizabeth Baird, Tina Bartley, Melissa Bateman, Brenda Bennett, Brad Bennett, Pat Benson, Beatrice Benson, Bobbie Berkstresser, Joann Boll, Brenda Bosserman, Janice Botkin, Elizabeth Bowman, Deadra Boyd, Dana Breeding, Crystal Brooks, Stephanie Brooks, Angel Brown, Amy Brown, Beverley Brown, Deborah Brown, Veronica Bryant, Laurie Buel, Shannon Burke, Diane Burns, Brooke Campbell, Susan Campbell, Debbie Carter, Angela Cave, Melissa Chambers, Pearly Clatterbuck, Emily Clements, Libby Cook-Riddle, Tara Crawford, Rebecca Cutlip, Charlotte Davis, Lori Davis, Michelle Davis, JoeAnn Day, Diane deCourcy, Pat Denton, Todd Dickerson, Teresa Dinges, Lynne Dubinski, Barbara Dunn, Laura Dunning, Vera Dutt, Mary Ellen Earhart, Gwen Eavers, Yvonne Eisenberg, Catherine Elder, Rod Eshleman, and Tammy Evans. Also Dreama Farrish, Cathy Fauber, Donna Fenske, Susan Fiore-Winters, Pam Flint, Gail Fowler, Linda Freed, Cindy Frye, Katrina Gallagher, Kim Galloway, Denise Gargie, Alice Gee, Rebecca Gibson, Melissa Golladay, Michelle Goodwin, Deborah Graham, Teresa Gray, Susan Greene, Teresa Gregory, Kira Griffin, Beth Guyer, Glenna Hale, Beth Hall, Cathey Hall, Diane Hall, Jackie Harmon, Roxanne Harris, Angie Harris, Sherri Harris, Roslyn Harry, Lois Hartman, Nancy Heizer, Brenda Hicks, Suzanna Hicks-Hostetter, Peggy Hill, Cinda Hinegardner, Cynthia Hoover, Teresa Hott, Amy Hougan, Sally Howard, Pamela Humphries, Teri Humphries, Tamara Irby, Regina Johnson, Gena Johnson, Laura Johnson, and Sue Jones. Also Kasey Kate, Martha Kennedy, Linda Kite, Debbie Knight, Jinky Knox, Ruth Anne Labate, Brenda Lambert, Wendy Lamm, Cassie Lantz, Marcia Lehman, Mary Lessley, Brittany Lovell, Lisa Lynn, Charlotte Maiden, Debby Marrin, Jakki Marshall, Tonia Martin, Laura Martin, Tamera Mason, James Mathews, Pam Mathews, Kari Mathias, Sherry Mayo, Linda McCarthy, Carolyn McCartney, Linda McCrae, Tonya Meadows, Amy Meyerhoeffer, Donna Mikolay, Mary Miller, Carolyn Miller, Patricia Miller, Rebecca Mohler, Joey Mooneyham, Lynne Morris, Carole Murphy, Kim Nelson, Sylvia Nuckoles, and Betty Nugent. Also Kathleen Paccadolmi, Carolyn Palmer, Tammy Patterson, Deborah Phillips, Ron Phillips, Tina Pitzer, Judy Pollard, Wendy Potter, Carline Powell, Terry Price, Kristen Printy, Dendi Pruett-McNeary, Jeri Pugh, Yvonne Quick, Nancy Ralston, Marvella Rea, Patra Reed, Geraldine Reed, Kim Reed, Pam Reeder, Nina Rhodes, Hannah Ripani, Crystal Robertson, Velinda Robinson, Sandy Romesburg, Judy Ronnenburg, Bonnie Rose, Tracy Sansossio, Brenda Saunders, Teresa Schneider, Grace Schultz, Jean Scott, Michelle Seay, Kimberly Shank, Barbara Shank, Lindy Sheets, Sharon Shenk, Sandy Shifflett, Meg Shrader, Debra Shuey, Angie Shull, Linda Slosson, Abby Smith, Heather Smith, Greg Smith, Jean Smith, Linda Snyder, Michelle Sprouse, Susan St. Clair, Lisa Stagner, Amy Stogdale, Melissa Stokes, Valerie Stone, Debra Sumner, Denise Swartz, and Teresa Swisher. Also Elaine Taetzsch, Gail Taliaferro, Jennifer Talley, Dorothy Tarullo, Vickie Taylor, Leann Testerman, Pamela Tetro, Bonnie Thompson, Amanda Traynham, Sandy Trujillo, Michele Vicario, Laura Vines, Amanda Ware, Karen Warren, Mary Weaver, Cindy Weaver, Susan Welk, Miriam Wenger, Leisa Whitesell, Amanda Wilson, Sharon Wilson, Mary Ann Woelfing, Alice Woods, Kathy Woods, Wendy Wyatt, and Audrey Young. Augusta Health is an independent, nonprofit community hospital with a mission to promote the health and well-being of our community through access to excellent care. In 2011, Augusta Health was the only hospital in Virginia to be recognized as a 100 Top Hospital by Thomson Reuters, receive both the Distinguished Hospital for Clinical Excellence and Patient Safety Awards from HealthGrades, and be named a finalist for the Foster G. McGaw Prize from the American Hospital Association for community service. 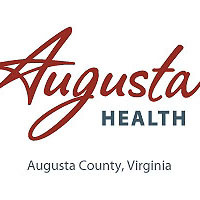 For more information about Augusta Health, its programs or its services, go online to AugustaHealth.com.